From left, Jack Chickadel, author Ty Drago,, Cassie Parsons, Lucien Santoro, Elden Cantalano, and Librarian Debbie Brahmi stand before the sign made by students in art teacher Micki Martin’s class. 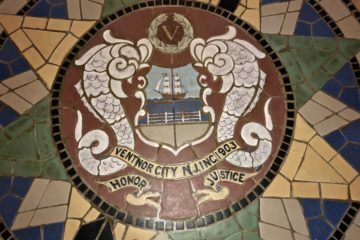 VENTNOR – The Ventnor Middle School welcomed New Jersey author Ty Drago to the school Friday, Nov.30. Drago is the author of the popular, Undertaker series, which was recently adapted for a major motion picture. His latest book “Torq” was released in October. 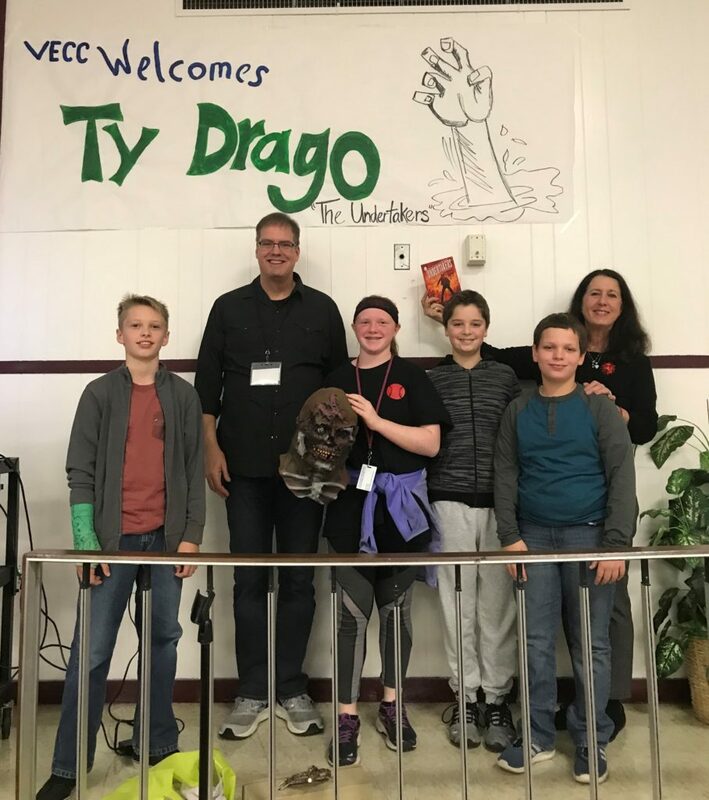 Drago spoke to fifth through eighth graders about the writing process at an assembly in the morning followed by a question and answer session. Drago conducted a book signing for those who purchased one of his books. 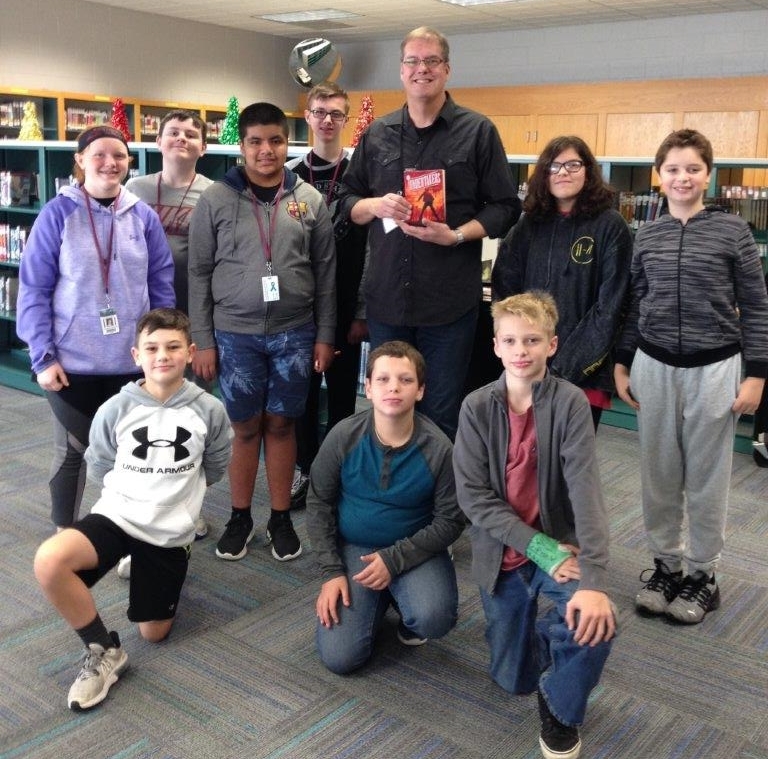 A select group of students joined him for lunch in the library. From left, Cassie Parsons, Reese Eastwood, Daniel Smith, Luis Ramirez, Anthony Damiani, author Ty Drago, Elden Catalano, Jack Chickadel, Fernanda Vasquez, and Lucien Santoro.